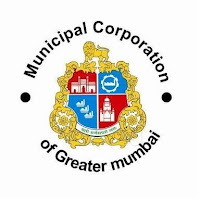 Municipal Corporation of Greater Mumbai has published Recruitment Notification for Various Posts. Check more details like Total posts, age limit, Fees, Selection process, how to apply and all details are given below. Daily visit JobSafar website. please read it and forward to all needy friends. Qualification : 10th Pass with Marathi Subject from recognized Board/Institute. Further Details of Qualification Information Pls Chk the Advt. Fee : Candidates Can Pay The Fee of Rs. 800/- For General Candidates and Rs. 400/- For SC/ST. The Fee Can be submitted through Online. Selection Process : Candidates will be selected on the basis of their performance in 1. Online Written Examination.